Diana Wolfe is a singer from Melbourne, Australia whose wild and unpredictable musical journey gives her a unique sound and captivating stage presence; funny, poignant, heartfelt and always entertaining. 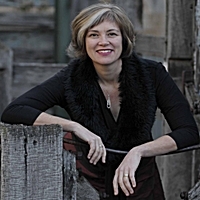 Her latest studio album is Rutherglen Road, a CD of songs in the neighbourhood of blues. Rutherglen Road, with inventive arrangements, was recorded at Back Pocket studios in Melbourne. The album was co-produced with Ken Stephenson, who played a range of instruments on the album and also performs with Diana's new line up, The Black Sheep. Other musicians performing on Rutherglen Road were Peter 'Robbo' Robertson (drums), Bob Sedergreen (piano), Mike Rudd (harmonica), Jimmie Sloggett (saxophone), Bill Putt (lap steel), Broc O'Connor and Jimi Hocking (lead guitars), Liz Frencham (upright bass), Roy Zedras and David Sheppard (electric bass), Nalini 'Dooks' Scarfe (percussion), and on backing vocals Kerri Simpson, Kelly Auty and Marisa Quigley. Eight of the tracks were written with Broc O'Connor, Peter 'Robbo' Robertson and Roy Zedras, who played in The Wolfe Gang original line up. 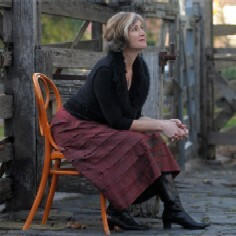 Also recorded is a bluesy version of Melbourne songwriter Helen Begley's 'If You Were Jesus'. 'I Just Wanna Make Love To You' written by Willie Dixon and first recorded by Muddy Waters, completes the collection. From the dusty, dry countryside of the title track to childhood memories, the songs weave pictures of an authentic Australian experience.